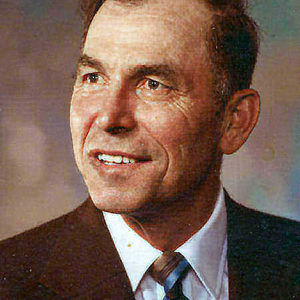 Adolph Heitkamp, 88, Barney, ND passed away on Monday, December 10, 2012 at St. Francis Healthcare Campus, Breckenridge, MN. Funeral mass will be on Thursday, December 13 at 11:00 AM at St. Peter and Paul's Catholic Church, Mantador, ND with Rev. Peter Anderl as celebrant. Visitation will be one hour prior to the service at the church. Interment will be at Calvary Cemetery, Mantador, ND. Arrangements are entrusted to Vertin-Munson Funeral Home, Wahpeton, ND. Adolph Herman Heitkamp was born to Herman and Catherine (Krump) Heitkamp on March 1, 1924 on the family farm near Barney. He grew up and attended country school in the Barney area and graduated from Wahpeton High School in 1942. He spent his life farming on the family homestead until he sold the farm in 2006. He was a lifelong member of St. Peter and Paul's Catholic Church. Adolph was injured in an accident at the age of 22, but that didn't stop his zest for life. He loved to visit with family, friends, and neighbors and could always beat you at checkers and cards and took great joy in playing practical jokes. His laugh was infectious and he was the favorite uncle of his 33 nieces and nephews. Adolph is survived by his sister, Veronia Schmit, St. Cloud, MN. He was preceded in death by his parents, his sisters, Leona Cox, Alvina Schlough, Velaria Kath, and Helen King, and his brothers, Lawrence and Edmund. In lieu of flowers, memorials are preferred to St. Peter and Paul's Catholic Church. The beautiful and interactive Eternal Tribute tells Adolph's life story the way it deserves to be told in words, pictures and video. god speed good friend,to life,you now ascend. So sorry to hear about the loss of your brother and uncle. While my husband has known him for many years, my children and I met Adolph at the home, while visiting an Aunt. He was a wonderful person and I instantly liked him. My 4 year old daughter, who is very shy with strangers, hugged him and was telling him stories. I believe she could tell how super he was! Our condolences are with you. Uncle Adolph was the best uncle ever! I will cherish the memories of him forever. It's comforting to know he is at peace.